St. Brigid's Brew is a local New Mexican dark chocolate style craft beer formulated by Abbey Brewing and distributed by Admiral Beverage to benefit Catholic Charities' programs. It will be available at Monks' Corner Taproom, 205 Silver Ave. SW, beginning June 10. 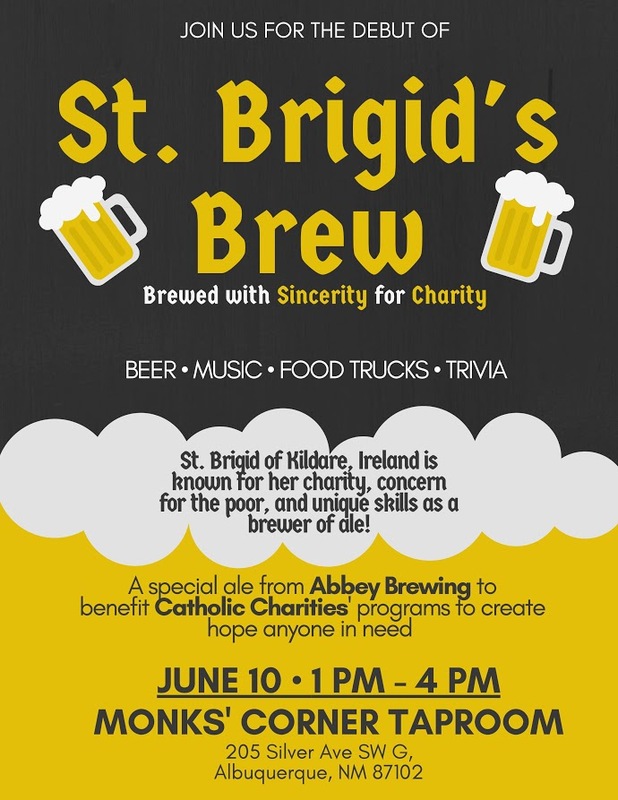 Join in a special celebration (including food trucks and music) to introduce St. Brigid's Brew at Monks' Corner Taproom, 205 Silver SW G (map), 1:00-4:00 p.m.. For every $5 pint sold, $1 will be donated to Catholic Charities.